by Heather Goodspeed Walters, D.C.
Nestled in the Western foothills of California’s Sierra Nevada mountain range, about an hour outside of Lake Tahoe, sits the quaint and picturesque town of Nevada City. The town, with a population of about 3000, was primarily built in the 1850s during California's gold rush. To this day the town retains much of that old-timey feel due to a prohibition on chain stores of any kind, and strict architectural codes. 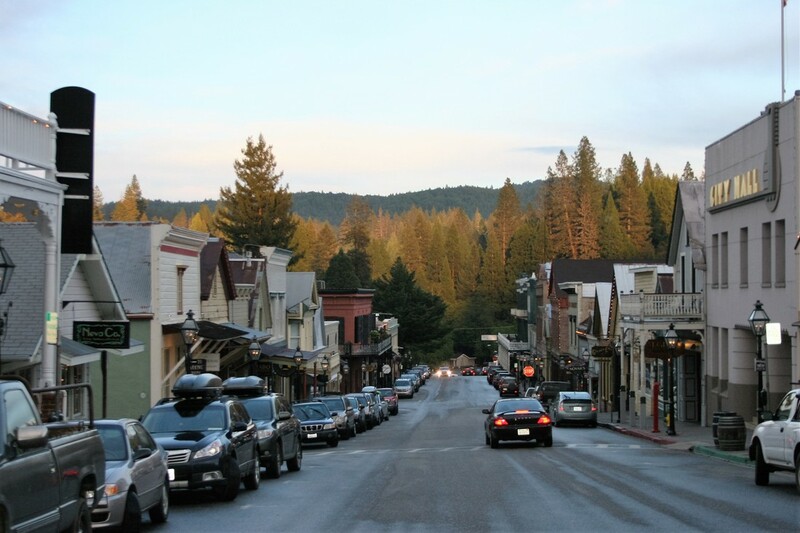 As a gateway to the Tahoe National Forest, Nevada City is booming with hiking and mountain biking trails. The dramatic and beautiful South Yuba River State Park is just outside of town and offers even more trails, a few kayaking routes, and a plethora of swimming holes for both locals and visitors to enjoy. But venture closer to town and it becomes plainly obvious that Nevada City is a hub for all things artsy and alternative. The place is buzzing with theater and musical productions, artist studios, galleries, and Eastern import and one-of-a-kind clothing stores. Nevada City is home to the first and largest accredited college of Ayurvedic medicine outside of India, The California College of Ayurveda, as well as The Flower Essence Society, a Yogananda commune, and several meditation retreats. Yoga studios and alternative healing centers are plentiful. >> Nourish Smoothie & Juice Bar is Nevada City's newest healthy food hang out, having opened in September 2014. The restaurant is fully organic, features regional produce and boasts an amazing apothecary. 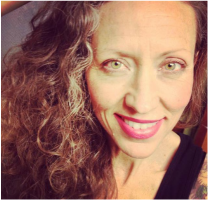 Owner Crystal Highline, who has a passion for healing through food and herbs, transforms juices and smoothies from a delicious snack or meal, to powerful healing tinctures with such additives as burdock root, chaga mushroom, ashwagandha, lavender, and many more. Some menu favorites include the Golden Goddess smoothie (mango, pineapple, strawberry, coconut oil, turmeric, ginger, chia seeds, and coconut water), the Cashew Bliss smoothie (cashews, banana, coconut oil, blackberry, blueberry, maple syrup, and almond milk), the Heavy Metal Detox juice (cilantro, stinging nettle, celery, lemon, apple, and ginger), or the delightful Soul Refresher juice (green apple, mint, and lime). Liver feeling a little toxic? Add some dandelion! Feeling mentally sluggish? Add some ginkgo! You get the (great) idea. Bagels, paninis (try the Roasted Beet & Arugula), salad bar with all vegan dressings, and a kids' selections are also available. Nourish is located on the same block as the bustling Nevada City Farmer's Market (Saturday mornings, June-November), so stop in for a health-boosting treat as you stroll and shop for goodies to take home. >> fudenjüce, which celebrated 10 years in business earlier this year, is a local favorite. But don't let the tiny kitchen fool you; this place churns out an impressive variety of GMO-free, mostly organic, mouthwatering dishes, juices, and smoothies. Chef Seth's Thai Coconut Basil Soup, made with a chicken-free broth and sea kelp noodles, is a mouthful of coconutty, garlicky deliciousness. The seaweed salad, made from seaweed harvested off of the Mendocino Coast, is delectable: The seaweed is the perfect blend of crunchy and chewy, mixed with a bit of baby greens, shredded carrots, and a light vinaigrette. Another favorite of mine is the Pestaco Plate: Two organic, live grain corn tortillas topped with a heap of sauteed veggies, homemade pesto, avocados, and fresh basil. Are you drooling yet? There are more than 30 juices and smoothies to choose from at fudenjüce, along with seasonal offerings (peach and blueberry summer smoothies coming soon!). A few of my favorites are the Green Monster smoothie (pineapple/coconut juice, banana, avocado, spirulina, and lime juice), the Awe-Inspiring Agada smoothie (vanilla almond milk, chia seeds, maca root powder, cacao nibs, caramel and vanilla flavors, monk fruit extract, almond butter, and cinnamon), and the Ginger Rogers juice (apple, beet, ginger, and lime). There are many reasons to love fudenjüce--community involvement, spirit of inclusivity, affordable prices--but here are two more: Owner Chuck Stuthard is on a mission to make his eatery transparent, listing every ingredient in every dish on both the restaurant's menu board and website, which allows the customer to make their own decisions about what they will put into their bodies. Stuthard has also made the decision to save and store about 150-300 gallons of raw organic vegetable matter compost per week. The compost is given out to local organic farmers free of charge. >> Elixart--billed as an "herbal lounge and art tasting room"--has been offering its eclectic mix of art gallery, tea room, exotic elixirs, and raw, vegan foods for almost two years. The atmosphere is almost like that of a bar, but without the alcohol. Lively conversation fills the air in a young, artistic, idea-incubator sort of way. Indeed, owners Sharon Cummings and Colter Merrick like to think of their establishment as an alternative to the bar scene, staying open late on Friday and Saturday nights, often times with live music. Friday nights feature an earthy sweet bottomless Kava & Cacao beverage. However, their "mocktails" are available at any time of the day. Imaginative drinks such as the Snap-To-It, described to improve cognitive function and focus the mind with Synaptol (a homeopathic flower essence), Diamond Mind (a mind performance supplement), cherry juice, Shilajit (a fermented earth resin mineral drink), and Elixart Brain Tonic, fill the menu. Impressive, right? Here's another: The Yuba Daydream which is described to induce profound relaxation, reduce anxiety and support spiritual growth. It is made with Zen Shen Tonic (a relaxation supplement), herbal lemongrass, mint, and sparkling water. Having spent 10 years in Hawaii, and enjoying the calming effects of kava, here is one I hope to on my next visit: The Kava Spritzer, made of concentrated kava tincture, citrus, sparkling water, and mint. Sounds wonderful! Green juices and homemade nut milks are included in several drinks on the bar menu, and are provided by Atma Campbell and her company Next Level Foods, which also supplies the delicious edibles available on Elixart's raw food menu. 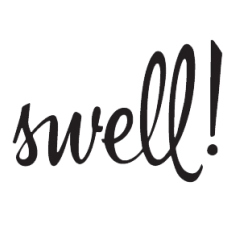 Campbell grows many of her own ingredients and all items are raw, vegan, organic, and free of gluten, refined sugar, and agave. There is a lot to choose from on Elixart's Next Level Foods menu. Familiar dishes make an appearance, such as miso soup, falafel (made with pumpkin seeds, sun dried tomatoes, olives, and falafel spices, served with a tahini dipping sauce), or a nut and mushroom based burger served on a cabbage bun. Kale chips, granola bars, flatbreads, and crackers are also available for eat-in, or bagged up to enjoy at home. For your sweet tooth Campbell makes some heavenly treats such as cinnamon rolls, macaroons (of various wonderful flavors like matcha, strawberry-almond, or carrot spice), fudge brownies, ice cream sandwiches, and assorted pies (specials change daily). The word is out (Thanks, Sunset Magazine! ): Nevada City is a great place to live--and a great place to eat. Especially if you're an herbivore! Come see for yourself, and be sure to bring your appetite and your good vibes! Menu highlights: Golden Goddess smoothie, Heavy Metal Detox Juice, Roasted Beet & Arugula Panini. Menu highlights: Seaweed Salad, Pestaco Plate (corn tortillas with veggies, pesto, avo, and basil), Green Monster Smoothie. Menu highlights: Elixart Brain Tonic, The Sunny Seed Wrap (sunflower seed, parsley, tahini and green olive salad spread rolled in a coconut wrap with fresh tomato, sprouts and avo), Kallelujah Salad (locally grown kale massaged with carrots, cabbage, tomatoes, and a ginger sesame dressing). Heather Goodspeed Walters is a chiropractor, food photographer, marathon runner, yoga instructor, wife, and mother. She has sustained a 75-pound weight loss for 18 years through healthy eating and is passionate about teaching others the joy and deliciousness of healthy foods. Dr. Heather lives, works, and benefits from the beauty of nature in California's Sierra Nevada foothills. She can be reached by email here.